Today is the first day of spring, and if you’re like me, you’re already looking forward to barbecues, pool parties, and other outdoor activities that accompany the warmer weather. 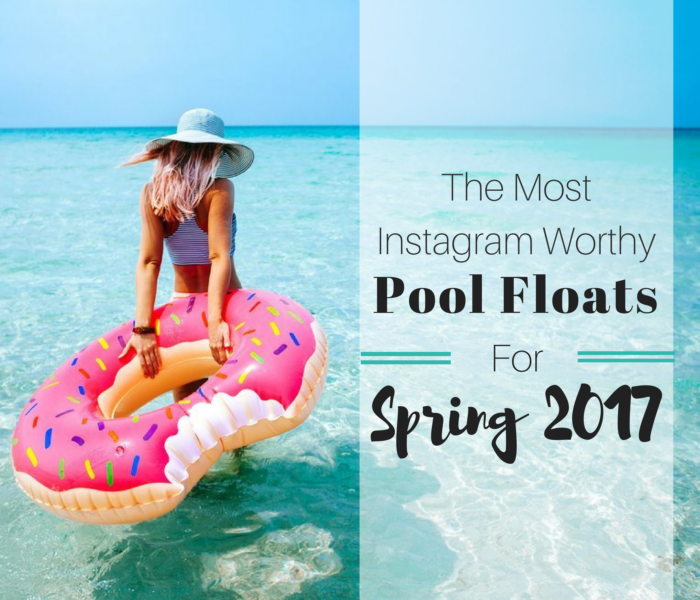 As you begin stalking up on SPF and planning your next beach getaway, don’t forget this year’s must-have aquatic accessory: Instagram-worthy pool toys, floats and loungers. 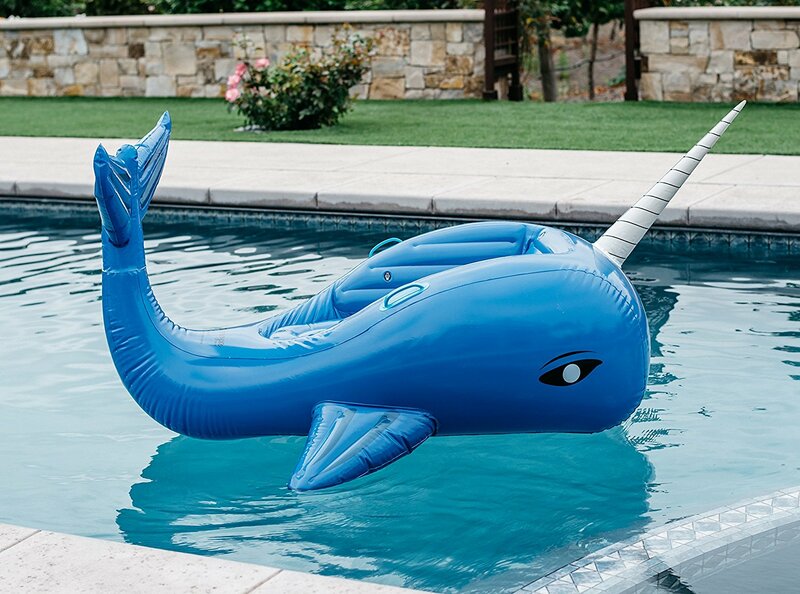 These fun pool floats have taken the blogosphere by storm – and for good reason. Not only are these huge pool toys a blast, they also make for some great photo opts. If you’re planning on spending any time by a pool or beach this season, below are some must-have pool floats for 2017. The original Giant Swan is the float that started it all. 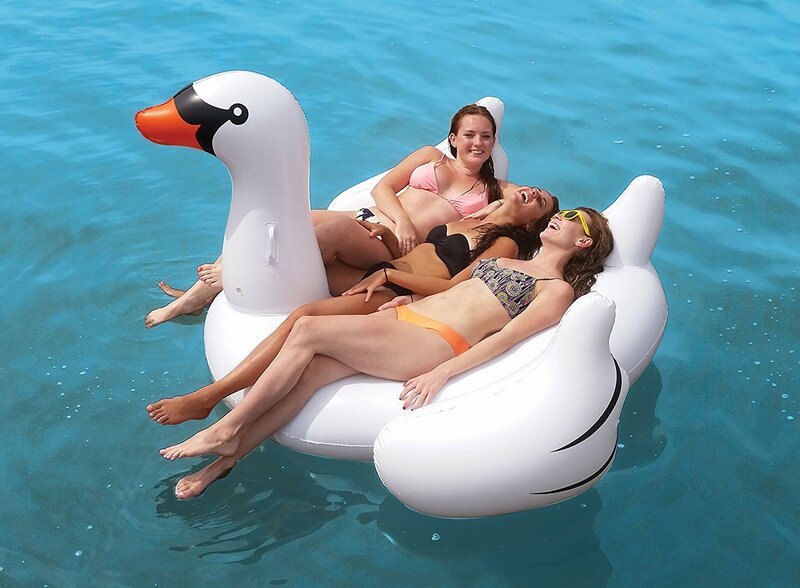 Everyone from travel bloggers to Taylor Swift have been seen with this Swan float, making it a #1 best seller. From relaxation to decoration, this swan is a must-have summer accessory. Click here to get it for $29. The Swan’s sister floatie: The Original Giant Flamingo is 80 inches long, making it large enough for two people to sit (or one person to lay) across the Flamingos back. The Flamingo originally made its debut in Harper’s Magazine with Miley Cyrus and Miranda Kerr. Get it on sale for $39 here. 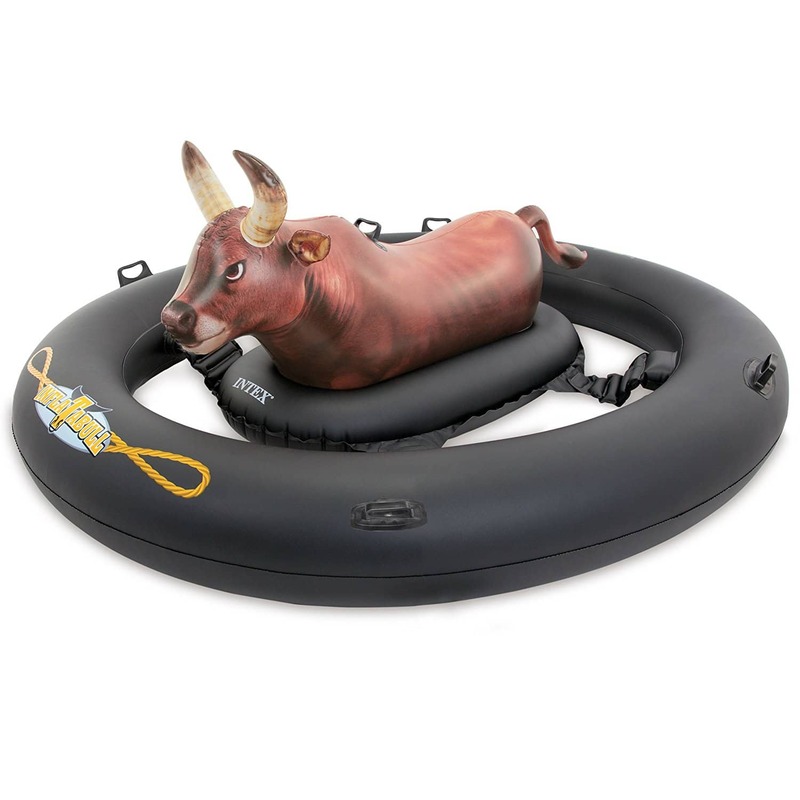 This Inflat-A-Bull Pool Toy allows you to enjoy a fun bull-ride experience on the water. The durable float is great for pools, lakes or rivers – as well as evoking friendly competition. Get it here! This Inflatable Swimming Pool Derby Duck Float features cup holders and handles, making it perfect for playing in the pool or lounging poolside. The float is huge, and two adults could easily fit on the duck’s back. Since my college mascot was a duck (I went to University of Oregon), I’m a big fan of this life-size rubber duck float. Get it here for $43.97. 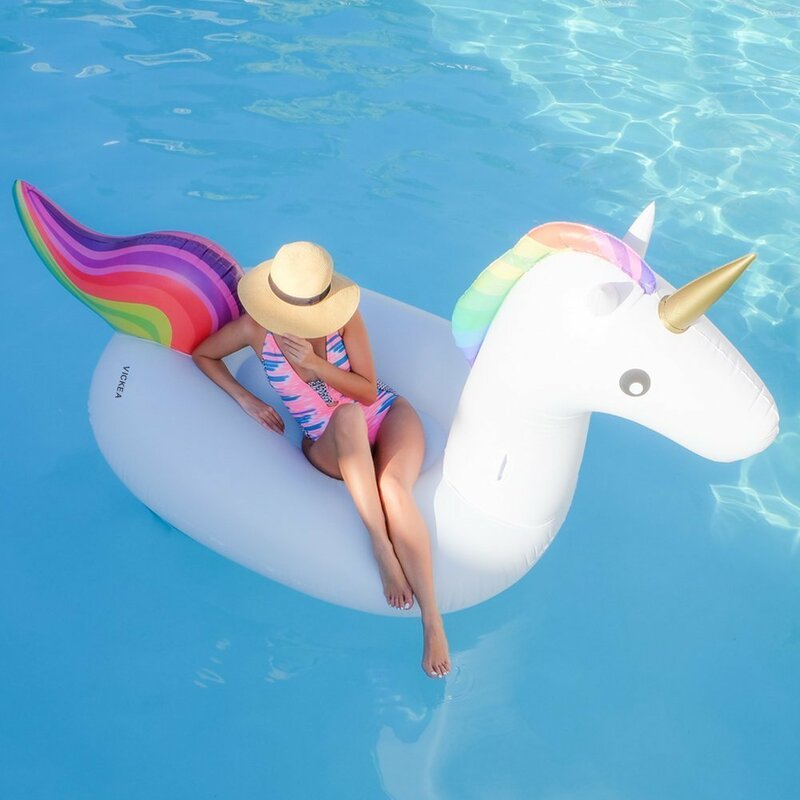 This Giant Inflatable Unicorn Pool Float is made of durable raft-grade material, making it the perfect beach or river travel companion. It’s likely one of the most magical floats on the market. Get it here for $39.99. This Narhwal Whale Inflatable Pool Float is sure to make a splash at your next pool party. This premium quality whale float features vibrant colors and glossy material that is durable and long lasting. Get it here for $69.95. 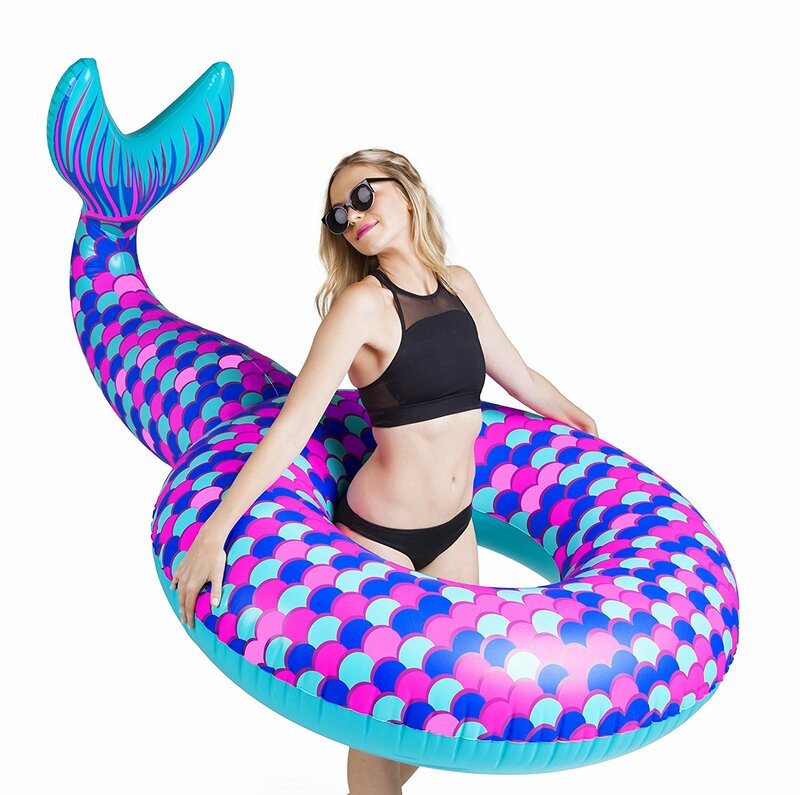 This Mermaid Tail Pool float is cute and fun for photo opts. At 6′ long this giant tail float is great for kids and adults. Get it here for $38. 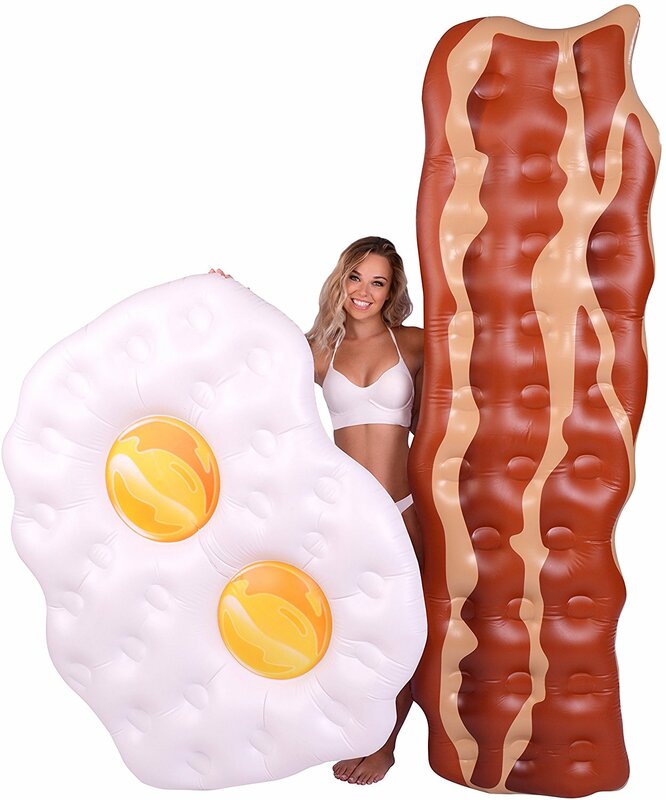 These Eggs & Bacon Inflatable Pool Rafts pair well with holiday barbecues and pool parties. Get them here for $59.95. 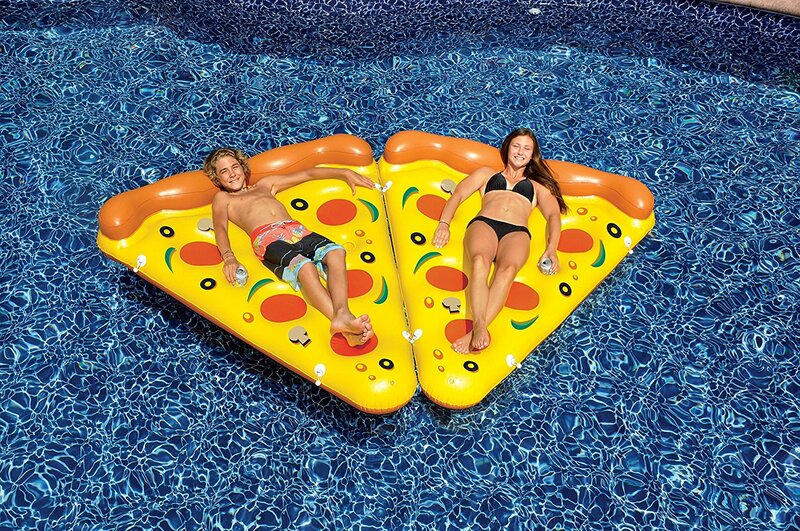 This Giant Inflatable Pizza Slice is 6ft long and a fun and easy to inflate. Plus it has bungee connectors to raft two or more pizza floats together. Get it here for $32. This two piece set of Gigantic Donut Pool Floats feature one chocolate and one strawberry 4ft donut pool float. Both are made with extra durable vinyl and come with a repair patch should your donut get a hole. Get it here for $39.95. 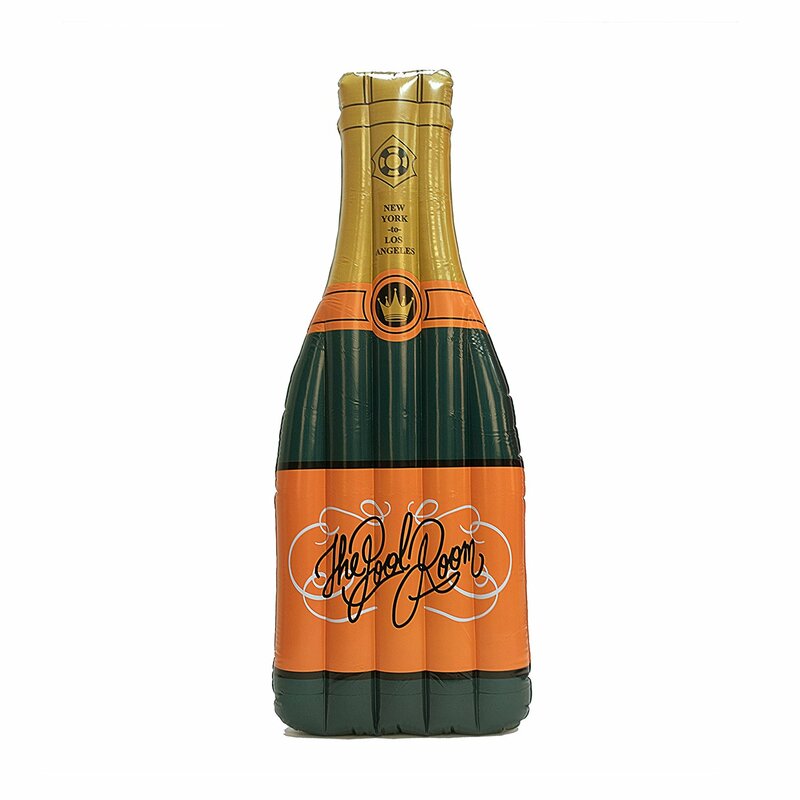 This Luxury Champagne Bottle Pool Float is sure to get the party started. The 72” long float is large enough for lounging, and the vibrant colors make it a beautiful pool accessory. Get it here for $59. 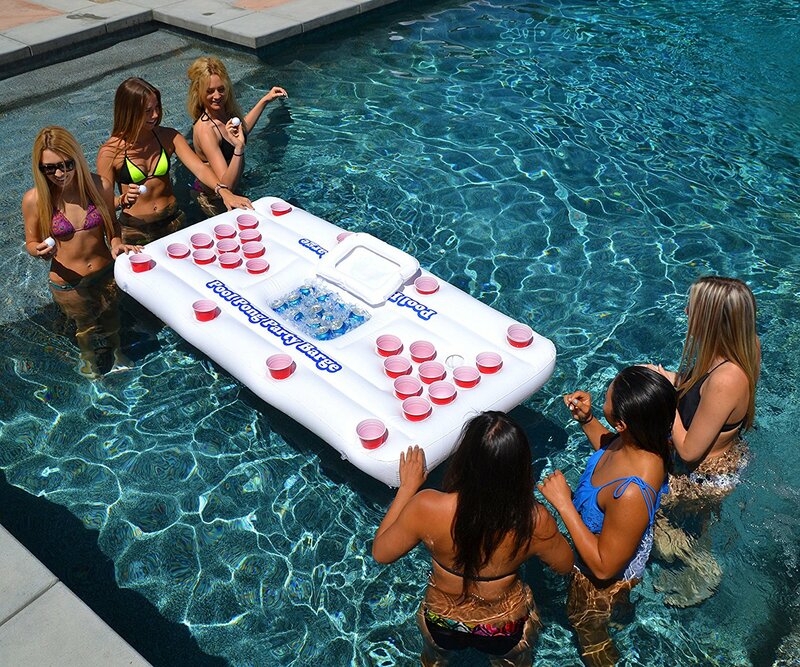 Take your beer pong game to the water with this awesome Floating Beer Pong Table. This 10-cup beer pong table includes a built in cooler making it the perfect floating lounge. It also has four grommets for anchoring or tethering. Get it here for $39.50. Hahahaha. So true that a lot of shopping is based on what is most Instagrammable. I love the swan! Unfortunately I have gone swimming about once per year the past several years so definitely don’t need a float… but hope to do it more this summer! Oh man I love all of these! The bacon and egg is awesome! My little man would love the duck! these make me want to go swimming, can’t wait for some warmer weather! What a fun roundup. It’s still a little too chilly for these here. These floats are great if you have a good sense of humor. Oooh! The Peacock and the Champagne float are amazing! 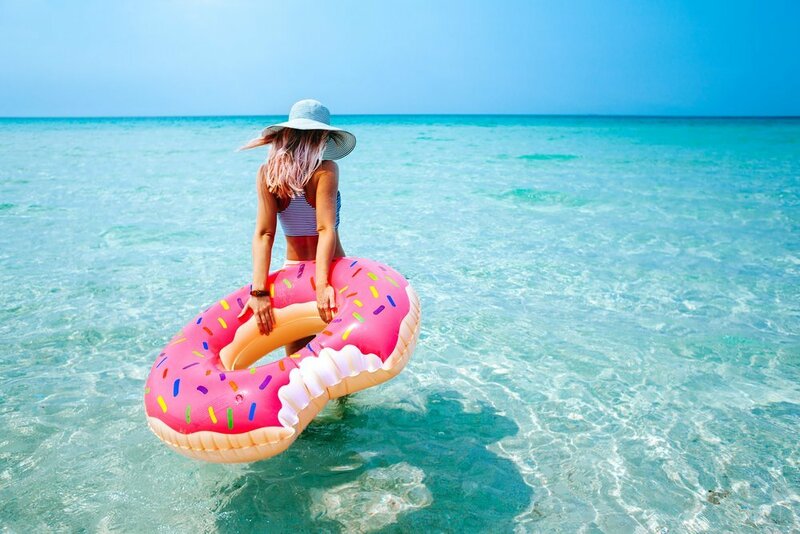 Love the donut and the champagne bottle floats! Cannot wait for more sunshine and pool time! Yes! the bacon one please. If not I love the flamingo. Love that these things are coming back. One of the most relaxing things ever! Such a creative and timely post! (Although we’re headed toward winter in Australia.) I am in dire need of a donut float. And also a unicorn float. Trying to decide what to take out of my backpack so they’ll fit! People still use these things!? I had a few when I was little but not had one in a while! Yes, bring on the pool floats!! I bought a swan and chocolate donut float last year! I was just talking about this with someone about how a lot of hotel/resorts are now holding pool float competitions. I’d love a unicorn float. We already have the flamingo and the unicorn, but if my kids see this, they will go crazy. So I am closing this post quickly 🙂 I wish it was summer! I love how floats keep getting better and better every season! I want the peacock and the unicorn! I want ALL of these, especially the Narwhal one!! What an awesome list of pool floats. Bacon and Eggs? Lol now we are getting serious. My wife (and I) love her giant pineapple float. We have even made a simple anchor to keep her from floating away at the beach! I want the- unicorn, flamingo, the turtle, the mermaid!!! And I’m in South FL so I get to use them all year long!!??????????? ?